When it comes to getting decent seating, inflatable loungers really do take the cake. They are easy to use, super comfortable and adaptable to any situation that you find yourself in – be it chilling at the beach, your back yard or even to get some easy seating for guests. 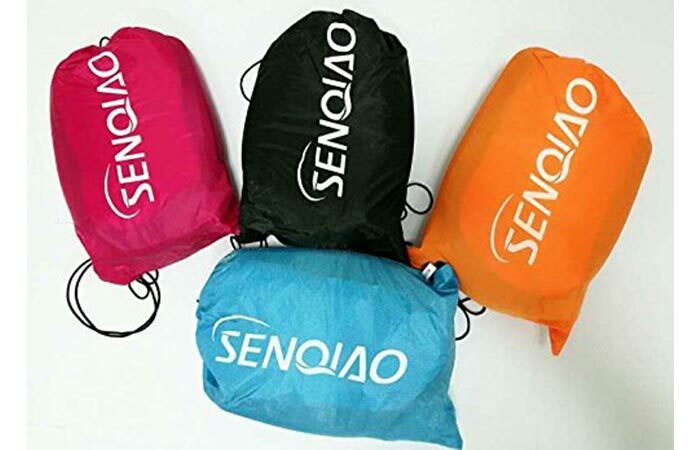 The latest, the SENQIAO Inflatable Bean Bag fulfill all of those needs. 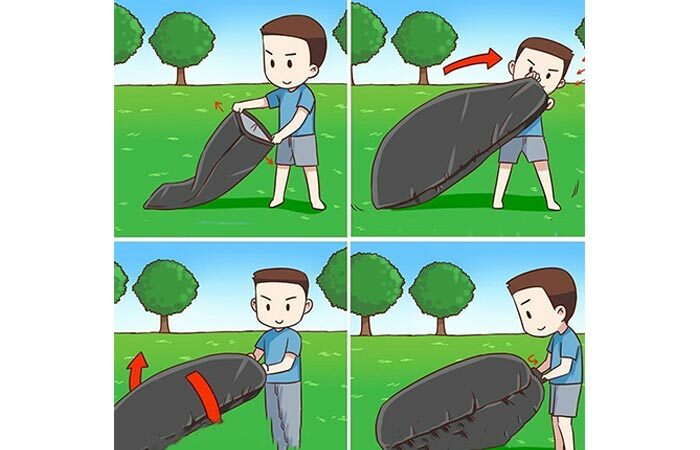 Inflating the SENQIAO inflatable lounger should take no more than 10 seconds and you simply open the mouth, drag it through the air, roll it up and you’re set to go. Inflating the SENQIAO Inflatable Lounger is super easy and can be done in 10 seconds or less; you simply open up the one end and drag it through the air once or twice, roll it up and voila, you have instant super comfortable seating. This inflatable lounger is constructed out of extremely durable nylon and only weighs 1.2kg (which is perfect for camping trips) but has a carrying capacity of 220kg (meaning that you can seat 2-3 people on it). The included carry bags allow you to take your inflatable lounger wherever you go. To make this inflatable lounger extremely convenient, the Senqiao features 3 different pockets that can be used to store your phone, wallet, tablet, books and other goods that you might have with you. To ensure that you have the optimal chill time, the internal of this inflatable lounger is lined with PC that is both stretchable and better for the prevention of air leaks – in essence, this lounger can give you up to 8 hours of chill time before needing to be inflated again. This lounger is also double stitched for durability so that you never need to worry about how and where you can chill.